along with Real Time Project senarios. All the sessions are completely PRACTICAL. Please find the course contents in brief. Module 1: Architecture and Introduction to SQL Server Integration Services. Module 2: Designing and Implementation of SSIS packages. Module 3: Designing and Implementation of Control Flow & Data Flow. Module 4: Debugging and Managing Package Execution. Module 5: Detecting and Handling Processing Errors. Module 6: Securing and Deploying SSIS Packages. Module 3: Designing and Creating Dimensions. Module 4: Designing Measures, Measure Group and Aggregations. Module 5: Querying, Working with MDX and KPI. Module 6: Implementing Security and Managing Deployment. Module 1: Architecture and Introduction to SQL Server Reporting Services. Module 2: Designing and Implementation of Reporting Services Projects. Module 3: Use report models to implement reporting for business users. Module 4: Configure report publishing and execution settings. Module 5: Implementing subscription for reports. Module 6: Administrating the Reporting Services. Module 7: Implement custom Reporting Services applications. Duration for course is 30 days or 50 hours and special care will be taken. It is a one to one training with hands on experience. Resume preparation and Interview assistance will be provided. 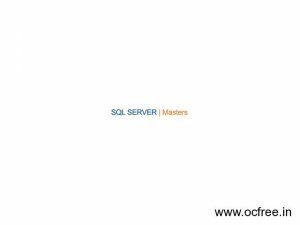 Please mail your queries to training@sqlservermasters.com.